Tiny Alpine has begged for its own high school since the late 1990s. It thought it would finally get one when a campus was mentioned in two winning school bond measures. It still hasn't, and the culprits blocking the school range from various district officials to President Ronald Reagan. Last December, backers of a still-unbuilt high school met at Alpine Tavern & Grill. About 100 people showed up at the restaurant, which gave a portion of its proceeds to help pay for a lawsuit against the Grossmont Union High School District. Called the “Injunction Function,” the event raised $504, said an organizer. Alpine Union School District, the five-school feeder district suing Grossmont, needs more than that. As of March 31, Grossmont has spent $677,592 “defending [against] this frivolous lawsuit,” said school board president Rob Shield. Frivolous isn’t a word Superior Court Judge Joel Pressman might use. He’s presiding over the suit. In January, he slapped an injunction against the giant East County school district, demanding that $42 million be set aside for an Alpine high school, which the community has begged for since the late 1990s. A high school of their own is not just a matter of convenience to Alpiners — it’s actually life and death. With no school nearby, hundreds of teens make long commutes along mountain roads to Granite Hills and Steele Canyon high schools. Four students have died on those roads in the past four years. Alpine first tried to build a high school in 1997 — only to see two high schools go up elsewhere in the Grossmont district instead. They tried in 2003, but dropped a K-12 unification bid that would have paved the way for a high school. And they tried in 2004 and 2008, approving bond measures that listed a “12th high school” intended for Alpine and Blossom Valley. But Propositions H and U, the Grossmont bonds totaling nearly $700 million, have yet to yield a campus. And fearing all that bond money would be spent on other things first, Alpiners sued. On April 27, lawyers for the tiny Alpine school district — whose MacQueen Middle School sends 200 students a year to high schools in the Grossmont district — and the Alpine Taxpayers for Bond Accountability filed another suit to bolster their arguments. So why doesn’t Alpine and its population of 14,236 have a high school? Besides earlier bond measures failing, the economy tanking and Prop. H running out of money, the absence can be blamed on a Battle of the Districts and a lesser-known Republican vs. Republican cold war on the Grossmont school board. Who else to accuse in Alpinegate? In 2010, Alpine appeared set to get a high school, with the district paying $22 million for the land. With the 2011 centennial of the Gipper’s birth approaching, the Grossmont school board voted to name Alpine’s high school for President Ronald Reagan. Board member Jim Kelly, a local Republican activist, led the charge. He took cues from GOP kingpin Grover Norquist and his Ronald Reagan Legacy Project, which called on Grossmont to name the school for the former California governor. But the vote didn’t lead to a new school. The board’s policy was to name schools for local geography, and the vote drew blowback. So the board backtracked and threw the decision to an Alpine community group, which nixed using Reagan in the name. Weaver and other Alpiners say the decision against Reagan represents the moment when foot-dragging on a high school became set in stone. Priscilla Schreiber, elected to the Grossmont school board in 2000 on a Christian campaign leery of gays, gets grief for her longtime support of an Alpine high school. In a letter to a judge, she accused the board majority of “Gestapo tactics” in closed session, she told me. “It’s political, and they have no intention of ever building that school,” Schreiber said of the board majority, which also includes Gary Woods. “I was told by Mr. Kelly and Mr. Shield that ‘You are the reason … Alpine will not get their school,’” Schreiber said, referring to a conversation after closed session. She said they were angered over her resistance to naming the school after Reagan. Shield and Kelly deny that. As punishment for her Alpine high school boosterism, Schreiber says board policies aim to silence her. One rule, created in the past three years, limits trustees to two minutes of speaking time per item unless waived by a board majority (a rarity). Schreiber, who cast the lone vote against the resolution, ignores it. Another way of punishing Schreiber? At the April 16 Grossmont board meeting, trustees took up what’s traditionally a no-brainer — a request to defray her expenses for a meeting in Sacramento of the state school boards association. She’s been a delegate for eight years. But Shield suddenly tabled the item, effectively blocking any compensation. School bonds were passed in 2004 and 2008 thanks to Prop. 39, the statewide 2000 measure lowering the voter-approval threshold from two-thirds to 55 percent. But for a bond that passes with the lower threshold, districts must create an independent citizens oversight body. Grossmont’s oversight panel has been its own den of drama — especially when Nick Marinovich was on the board representing the San Diego County Taxpayers Association. He says his advocacy for an Alpine high school made him a pain. He urged the panel to do its job — making sure items listed on the bond got built. He was a “major irritant” on the 11-member panel because he insisted on asking why it didn’t deal with a scathing 13-page Grand Jury report asking for “clarity” on the Alpine school’s fate. He challenged the panel on other issues as well. He especially chafed under CBOC Chair Nancy Herbst. Under Herbst, the panel is “like a cheerleader” for the school board majority, said Marinovich, who earlier served on a similar bond oversight board in the scandal-plagued Sweetwater school district. Herbst declined to comment, saying she first needed a committee “consensus” on how to answer my questions. Does Prop. U guarantee an Alpine high school? Shield, the school board president, projected the definitions of “promise” and “permit” on a screen at the board’s April 16 meeting. He said various measures over the years “permitted” the building of a new high school in Alpine, but no “promises” were made about it. For instance, Shield noted the word “permit” was used in a 2004 joint resolution of the Alpine and Grossmont boards to drop Alpine’s then-pending unification effort in Sacramento. “What I see is a nine-year history of using the [promise] term over and over and over again, so that it becomes part of the working lexicon of the discussion,” Shield said. “A promise would imply a date certain,” and nothing in the Prop. U bond language suggested that a high school had to be built. “It’s like the Big Lie — repeated so many times that [people] believe the lie,” said Kelly. But the county Grand Jury begged to differ. Grand jury members argued Alpine expected a high school, and its 13-page report even used variations of the word “promise” eight times. So do Alpiners, who dropped their former unification drive on the expectation the Grossmont would build them a school. Alpiners roll their eyes. For three years after Prop. U passed, the district enrollment was above the trigger. In fact, site bulldozing began in January 2011. Fences were erected. 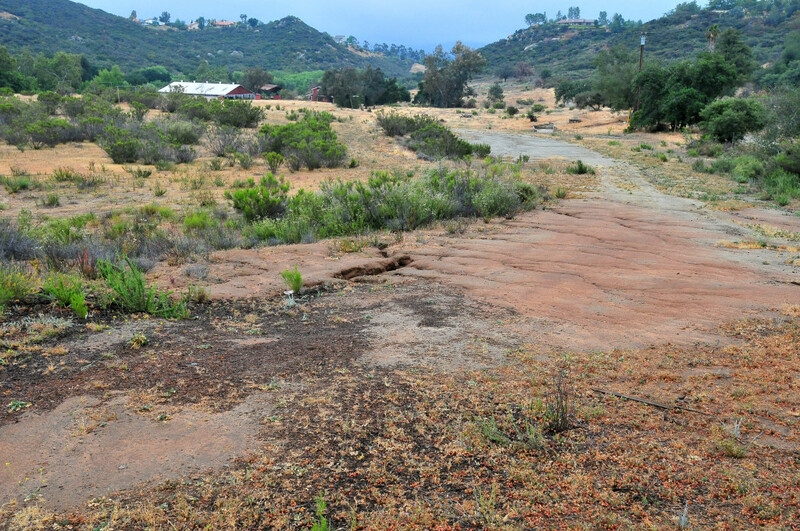 Swenson, however, says it wasn’t until March 2012 that the district had “clear title” to the 98-acre “Lazy A” horse ranch site on Alpine Boulevard, just south of Interstate 8. Grossmont — with assets of $1 billion — takes in 465 square miles of East County, including La Mesa, Santee, El Cajon, Spring Valley and Lemon Grove and the Alpine-Blossom Valley area to the east. Alpine, whose K-8 district is just shy of 27 square miles, has about 4 percent of the Grossmont student population. Another contrast: Grossmont has a lobbyist in Sacramento at $240 an hour. Alpine does not. The lobbyist is there to sway the state Board of Education, which is considering Alpine’s second bid to become a unified district — K-12 instead of K-8. After several hearings, the county Board of Education in August 2014 unanimously backed Alpine unification. A key decision for Sacramento: Who votes in a potential unification election? Alpine-only residents or the whole Grossmont district? GUHSD stands to lose tens of millions of dollars if a K-12 district is approved. Alpine schools chief Bruce Cochran expressed “concern” about Grossmont’s spending — even as Alpine has spent $96,609 on its lawsuits, Cochran’s lawyers say. Alpine lawyer Alan Brubaker says Grossmont is “spending the [bond] money as fast as they can, apparently to avoid” having to build an Alpine high school. Swenson demurs, saying spending won’t end until 2032. Pressman, the judge presiding over the lawsuit, may be the arbiter of the Alpine high school — or at least the financing of it. He’s weighing an amended suit that cites the Grand Jury report (titled “Fool Me Once, Fool Me Twice?”), the county school board’s August 2014 OK of the Alpine Unified School District and various Grossmont board resolutions. Grossmont has appealed the injunction to the state 4th District Court of Appeal, but the court has yet to weigh in. Nobody knows when the state Board of Education, acting as a divorce court, might decide on Alpine unification and how much money Grossmont would pay in the split — and which set of residents would vote. But delays can’t avert a looming court date. The civil trial is set for Dec. 4. 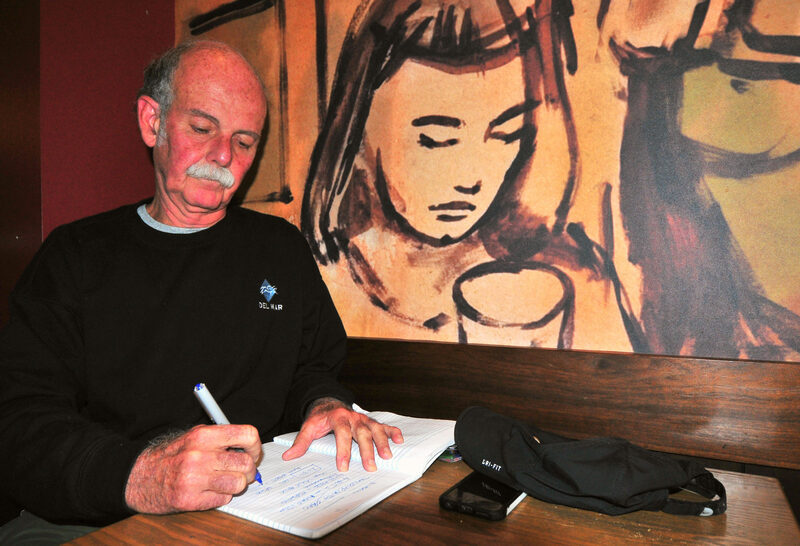 Ken Stone, a freelance writer and blogger, is a contributing editor at Times of San Diego.